How to have a very Maui Christmas! December is a wonderful time to visit Kahana Beach, when holiday events and activities are abounding with festive good cheer. If you’re staying with us and looking to get into the holiday spirit, you have an abundance of ways to celebrate the season on Maui. Below you will find some of our favorites. We wish you a wonderful holiday season and a very Hau ‘oli Makahiki Hou! The sprawling banyan tree with its 60-foot trunks and root system that covers almost an acre will be wrapped in thousands of Christmas lights. Where else but in Maui will you find such a sight as this one? The banyan tree is located off Front Street in Lahaina town. For parking near the banyan tree, we recommend the free parking lot off of Prison Street. The tree will be lit nightly throughout the holiday season. If you need to do some last-minute gift shopping, skip the generic big box stores and check out one of many holiday markets on Maui. There are craftsmen all over the island that sell one-of-a-kind items well into December. We recommend visiting Whalers Village in Kaanapali, the Shops at Wailea, or the cowboy town of Makawao. Don’t forget to pick up a few ornaments for your tree at home! The Shops at Wailea will host visits from Santa (see this calendar for specific days/times) and special holiday musical entertainment. There are plenty of family-friendly Christmas luaus. Kanakaloka, or Mr. Claus, usually arrives in a red canoe as a treat for the children, and an authentic Hawaiian feast is served during the show. It’s a wonderful way to blend classic island traditions with Christmas cheer. Whale watching is one of the most popular things to do on Maui in December. The island’s whale season runs from November through May, when thousands of North Pacific Humpback whales grace Hawaiian waters during their annual winter migration. Sign up with our concierge for a guided boat tour or head to the beach for a glimpse of these majestic beauties. Looking for a Christmas tree to decorate your room? Take a trip to the Kula Botanical Garden in Upcountry Maui. Kula is one of the largest growers of Christmas trees in the state of Hawaii, and the facility harvests a new crop of Monterey pine trees each year. Wreaths, centerpieces, and cut greens are available throughout the holiday season. 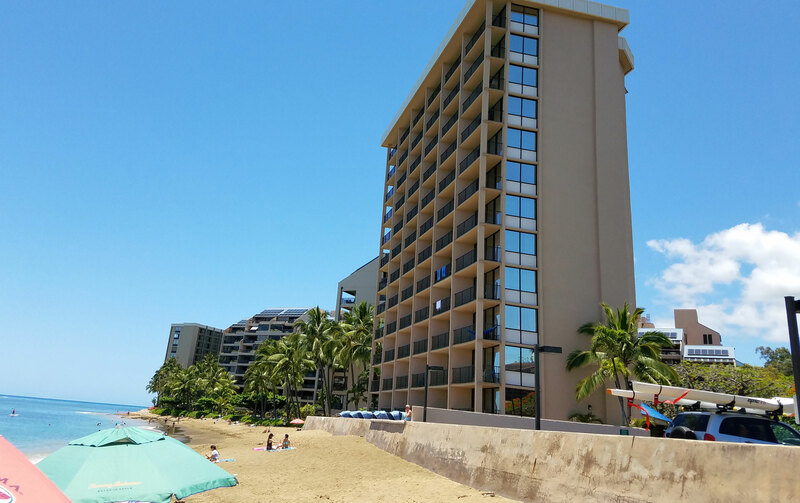 Copyright © 2019 Kahana Beach Resort. All Rights Reserved. Enjoy a fulfilling – and a full feeling – Thanksgiving on Maui! Have a very “Hau’oli Makahiki Hou!” as we bid farewell to 2018.